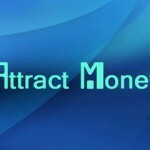 Steps to Attract Money: How To Attract Wealth In Your Life! Steps to Attract Wealth: * Realize that true Wealth is more than just Money! * Stop worrying About Poverty * Save – Put Away for a rainy day * Visualize Making Money * Treat Yourself * Dream and Take Risks * Get comfortable with having money * Be Grateful * Give, Donate * Invest in You * Take Action * Develop the art of selling * Charge..